 Global Biscuits Market to reach USD 109, 959.9 million by 2025. Global Biscuits Market valued approximately USD 76384.9 million in 2017 is anticipated to grow with a healthy growth rate of more than 4.7% over the forecast period 2018-2025. The Biscuits Market is continuously growing across the world over the coming years. Biscuit is a term used for a variety of primarily flour-based baked food products. Biscuits comprise nutritional factors such as carbohydrates, fats, and fibers which are essential to human health. The nutritional value of biscuits makes them a highly preferred breakfast meal worldwide. Biscuits are one of the most important snacks used in an average household. Growing preference of individuals for convenience food & snacking, rising demand for healthy snacks and growing disposable income in developing economies are the driving factors which exerting positive impact in the growth of biscuit market. In addition, rapid urbanization and leading sedentary lifestyles are also factors which increasing demand of biscuits in the market across the world. Biscuits are easy to carry & store, it can be consumed as per individual’s choice, they are low in saturated fats or calories loss and they provide a steady release of energy. These are the benefits which increasing sales of biscuits across the globe. However, high cost of raw material, increasing competition among biscuit vendors and increase in tax rate are the restraining factor of the biscuit market over the coming years. The regional analysis of Global Biscuits Market is considered for the key regions such as Asia Pacific, North America, Europe, Latin America and Rest of the World. Asia-Pacific is the leading/significant region across the world in terms of market share owing to increasing consumption of Biscuitss among people in the region. Europe is also estimating higher growth in the global Biscuits market. North America is also anticipated to exhibit higher growth rate / CAGR over the forecast period 2018-2025 due to increasing urbanization and changing lifestyle of people in the region. Arnots Biscuits Holdings Pty Ltd.